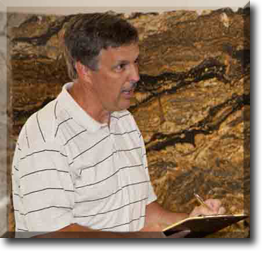 Marbleworks was established in 1991 as a professional fabricator and installer of natural stone products. We specialize in custom stone work including granite, marble and limestone counter tops, flooring, fireplace surrounds,outside grill areas, beautiful showers and many other stone applications. Located in Henagar, Alabama, Marbleworks serves North Alabama as well as middle Tennessee and Northwest Georgia. Locally, we serve cities such as Fort Payne, Rainsville, Scottsboro, Huntsville, Gadsden, Boaz, Albertville, Cullman, Guntersville, Arab and Centre.